Benjamin Franklin said, “An ounce of prevention is worth a pound of cure.” When preventing procurement fraud, the Fraud Triangle is an organisation’s key tool. The Petrobras scandal in Brazil has shown the potential for corruption and fraud in procurement. In light of this, our Thursday throwback takes us back to Hillary Ohlmann‘s article on preventing procurement fraud and corruption using the Fraud Triangle. Donald Cressey is credited with creating the fraud triangle, which outlines the theory behind why people commit occupational fraud. 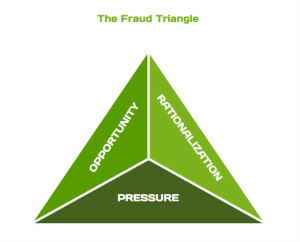 Cressey identified the three legs of the fraud triangle as pressure, opportunity, and rationalisation. While adequate compensation will depend on the organisation, country, and individual employee, procurement employees should not be at the bottom when it comes to compensation. Procurement professionals, at all levels, require a specific skill set to effectively do their job, and their compensation should reflect the value they bring to the company. This requires good communication with all stakeholders. Set KPIs and then review them frequently to make sure your procurement goals are realistic. 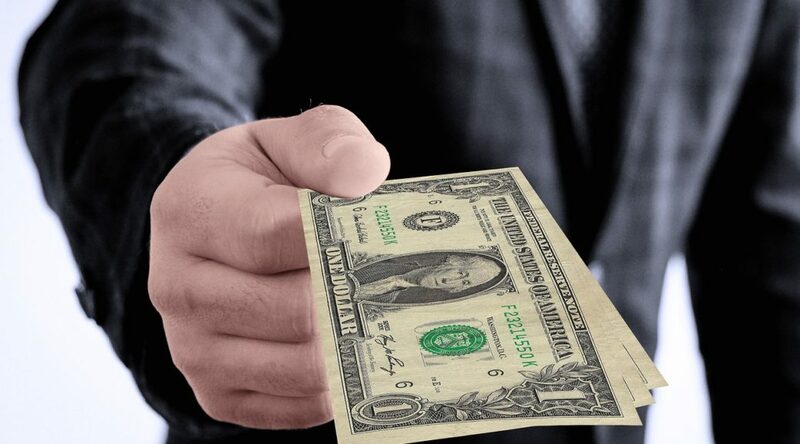 One way to avoid procurement corruption and fraud is to make sure your procurement department has sufficient funds for staffing, tools, and training. Being forced to cut corners can quickly lead to unethical decision-making. 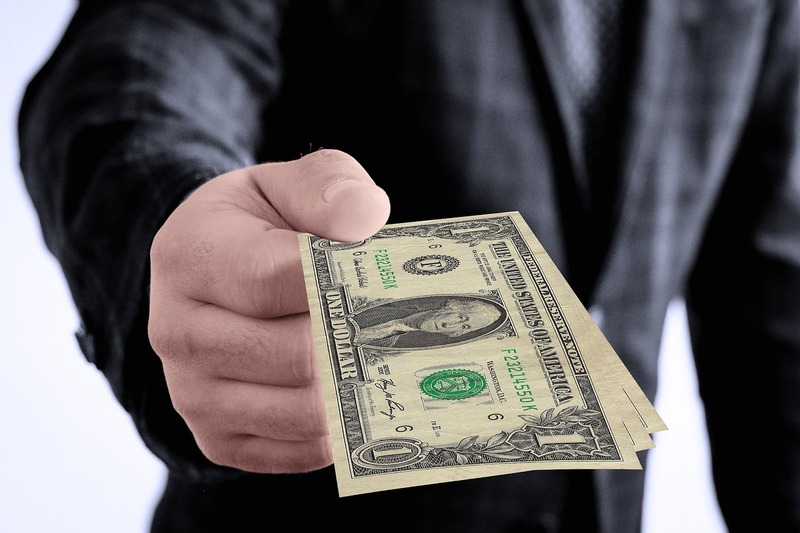 Suppliers often give gifts to procurement as a way to build relationships and show goodwill. Yet, these gifts may make it hard for procurement officers to remain entirely neutral. If Procurement is not allowed to accept gifts, enact the same policy for all departments as a way to reinforce a company-wide ethics policy. Adequate compensation is one way to recognise employee value, but other signs of appreciation can also go a long way. If your company has a no gift policy, perhaps set aside a portion of the budget for a procurement dinner, or event to celebrate when certain objectives are met. Divide responsibilities to keep any one person from having too much power over purchasing decisions. You may also find it beneficial to rotate responsibilities on a regular basis, but when you do so, make sure to update any employee permissions in your e-procurement solution. For example, some companies rotate procurement employees between categories to avoid any one person having too much close contact with suppliers. Schoolyard bullies use “four-eyes” as an insult, but when avoiding corruption and fraud, the four-eyes strategy is best practice. More eyes on decisions means it’s harder for would-be fraudsters to keep their crimes secret. Audits are not a sign of mistrust. Consider them more like a doctor’s check-up. You should hope that everything checks out, but if you note any irregularities, you can take action to straighten them out before significant damage is done. Your supply chain doesn’t stop with your suppliers. It’s likely they’ve hired subcontractors. The business practices of these subcontractors will reflect on your business. Unfortunately, many companies have learned this the hard way. Your company should have a Supplier Code of Conduct, and signing off on it should be mandatory for all suppliers and their subcontractors. Rationalisation is the process of excusing one’s acts, and finding ways to justify behaving in a way that you know to be unethical or criminal. Or comparisons with others (Everyone else has nice things. Why can’t I?). This one looks like a no-brainer, but it’s easier said than done. However, if ethics are important to you (as they should be), they need to be discussed from the very first interview. Research your potential employees like you research potential suppliers. Step away if anything looks fishy. It’s all about company culture. How can you expect employees low down on the ladder to behave ethically if the top management is constantly cutting corners and making ethically dubious decisions? Don’t fall into a “do as I say, not as I do” mindset. Give your employees a good model to follow. There’s the carrot, and then there’s the stick. Just as you would outline expected behaviour, so, too, should you outline punishments for breaking the rules. Also, don’t make idle threats. If you have a zero tolerance policy, then it should be zero tolerance. If you’re not prepared to follow through, adjust your policy to reflect the true consequences for fraudulent actions.